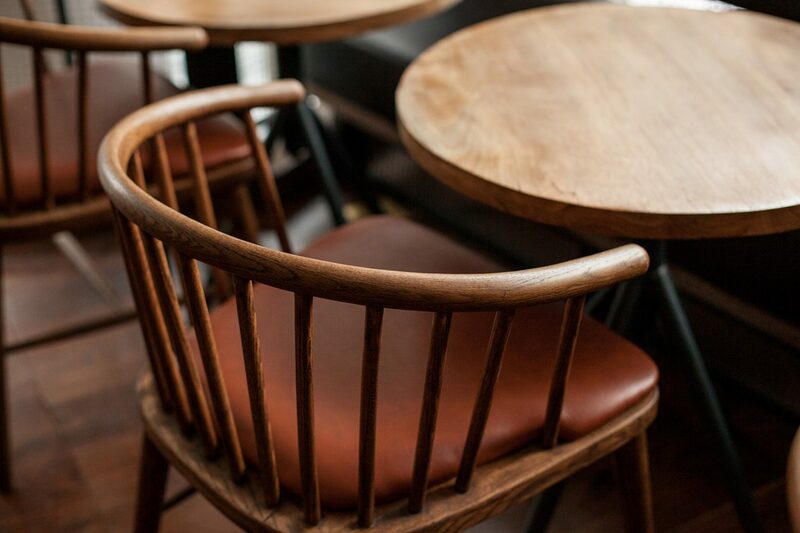 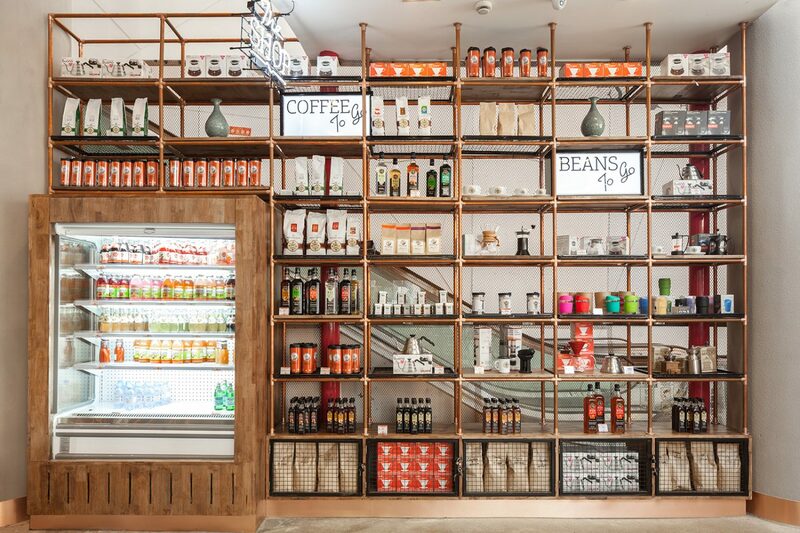 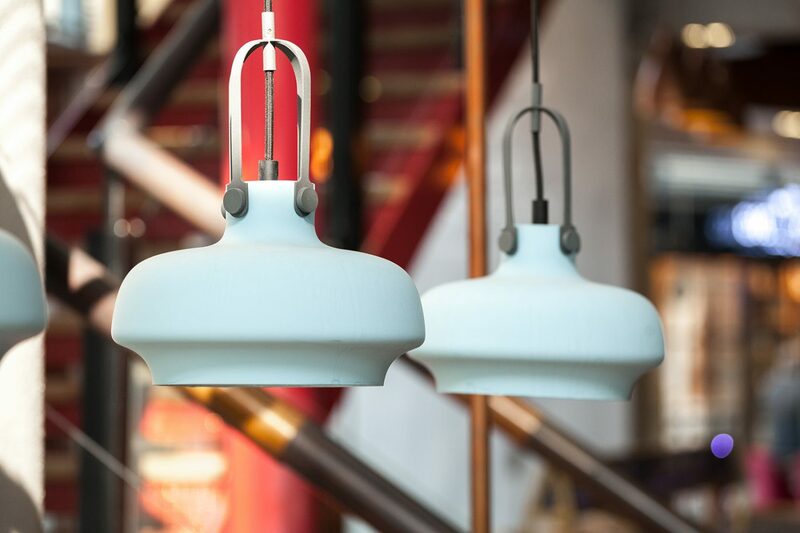 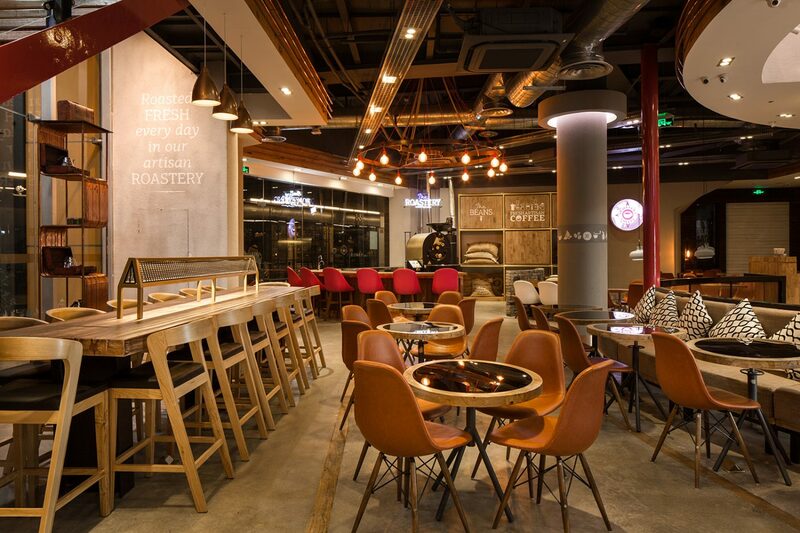 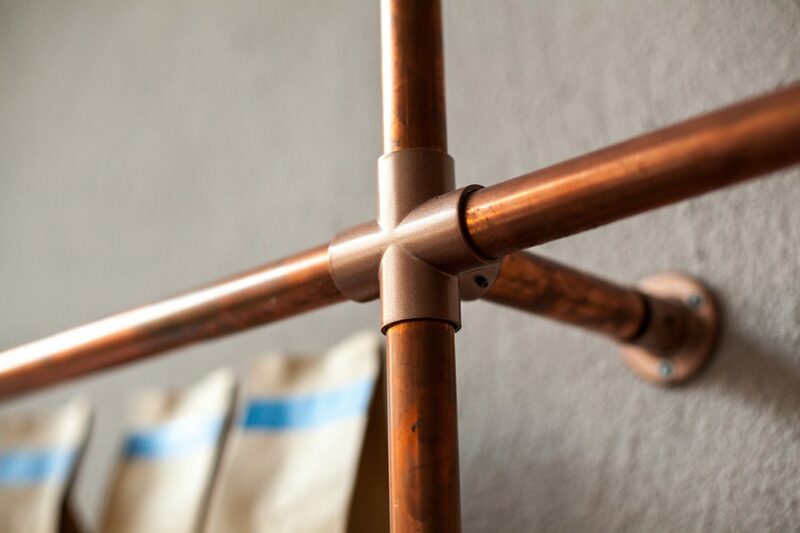 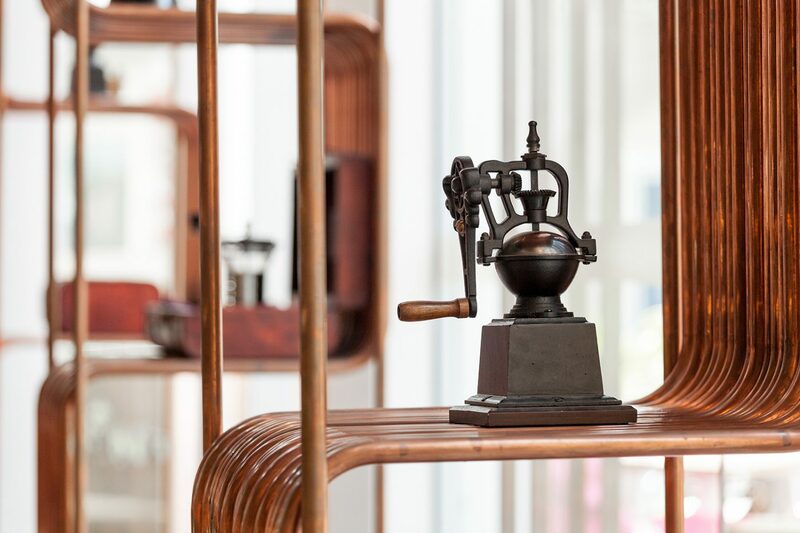 We have been working with an Artisan Coffee brand in China, where Anna has just designed their flagship new Roastery, Coffee Shop and Restaurant. 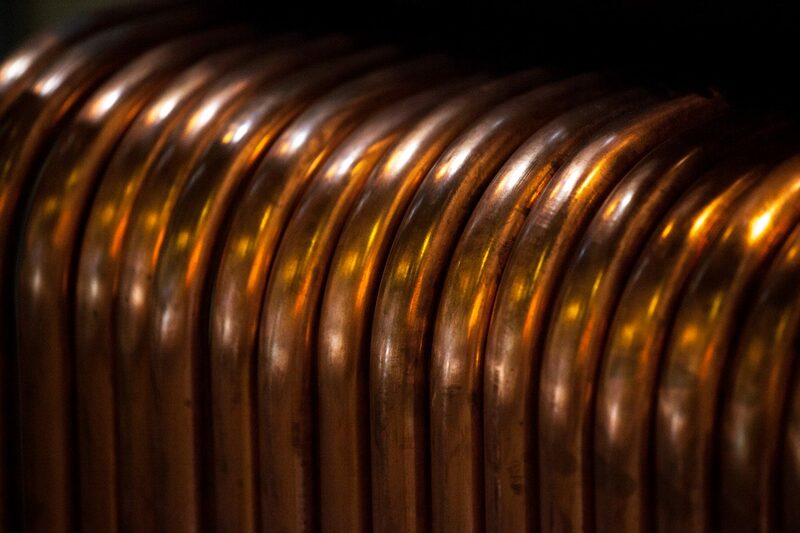 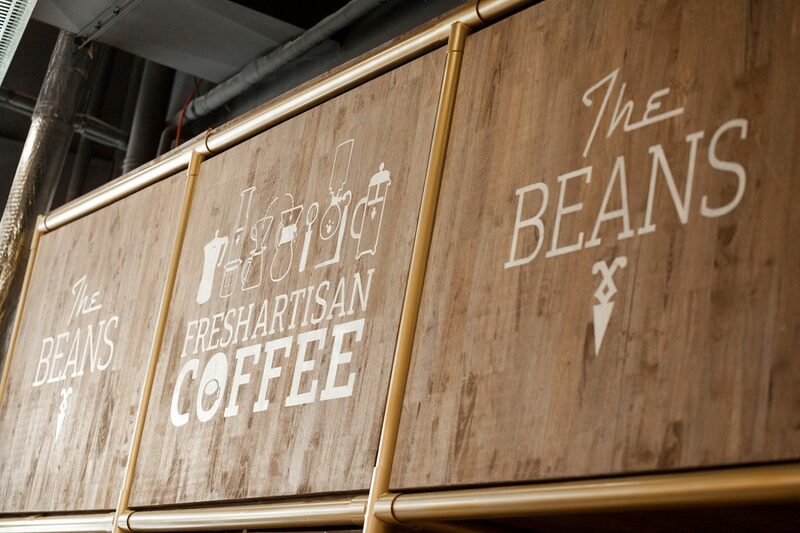 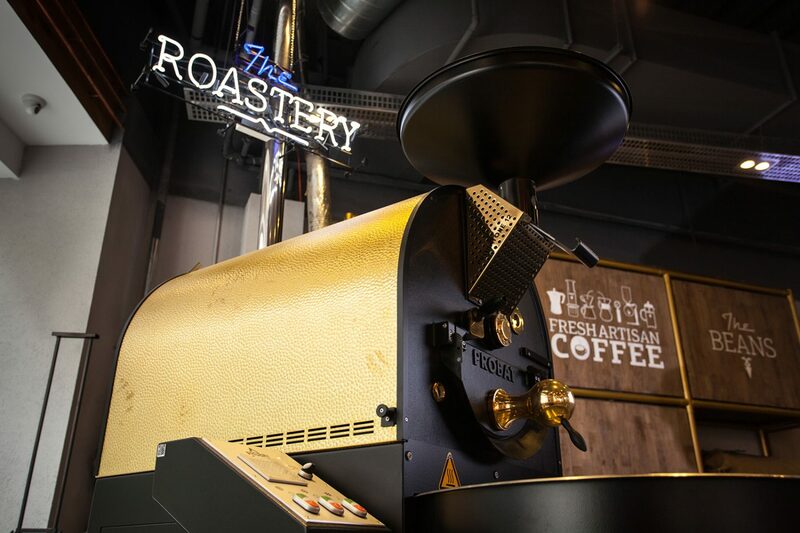 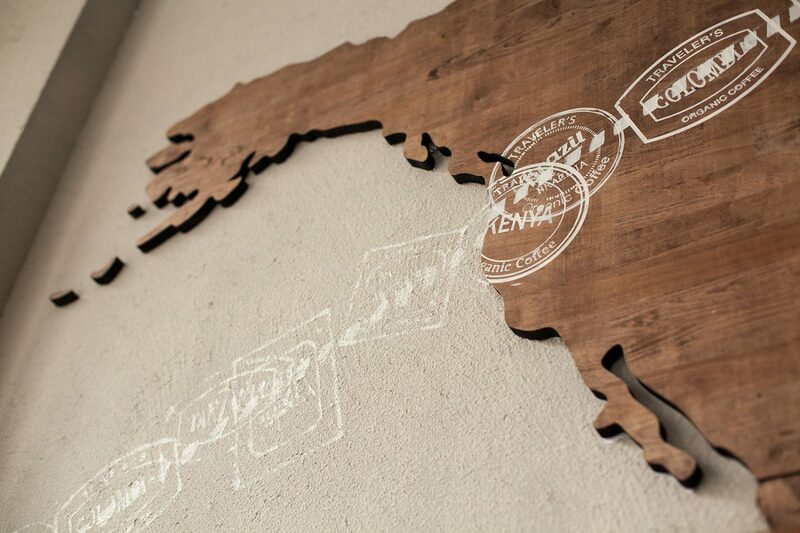 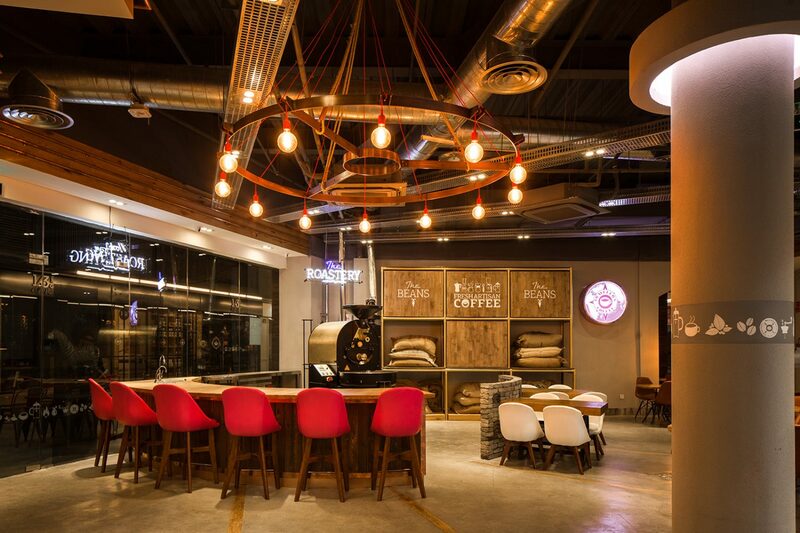 It features a full service Probat Roaster grinding and roasting fresh artisan coffee beans fresh on site every day. 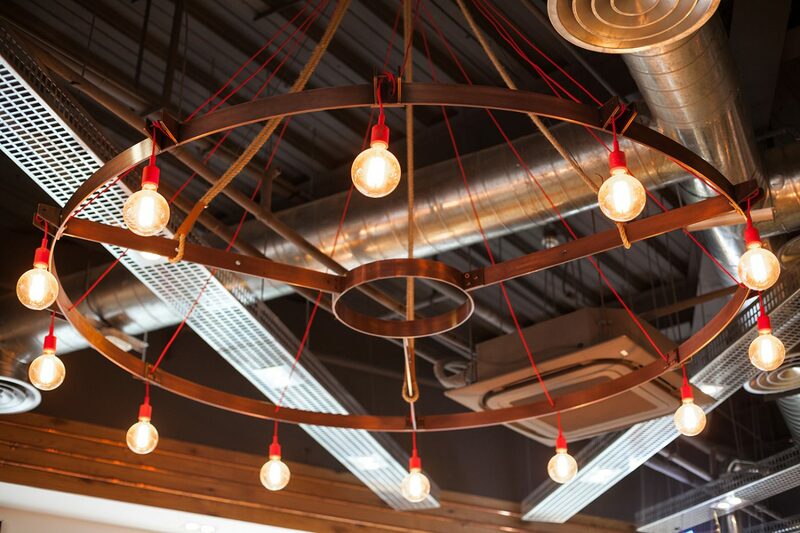 The space has been opened up and the ceiling raised to feature exposed ducting and industrial styling elements. 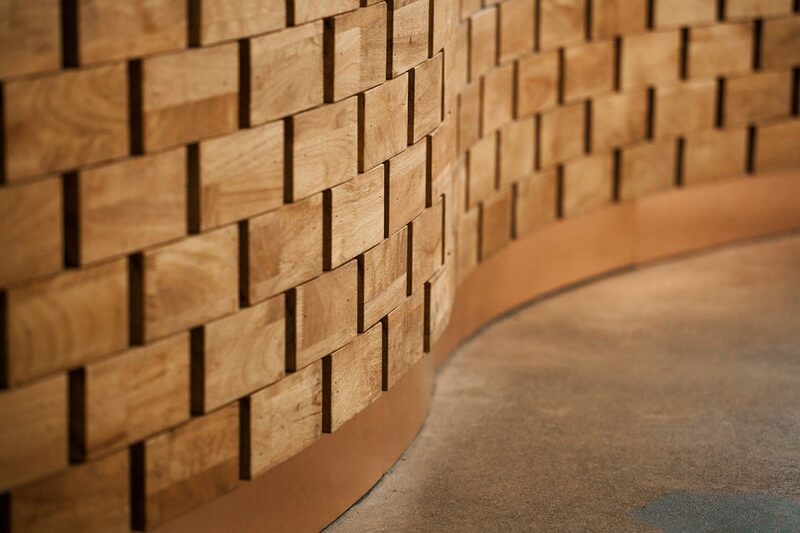 A bespoke concrete and wood inlay floor draws the eye through the restaurant to the Roaster where a special Genius Bar hosts sampling and cupping sessions at various points throughout the day. 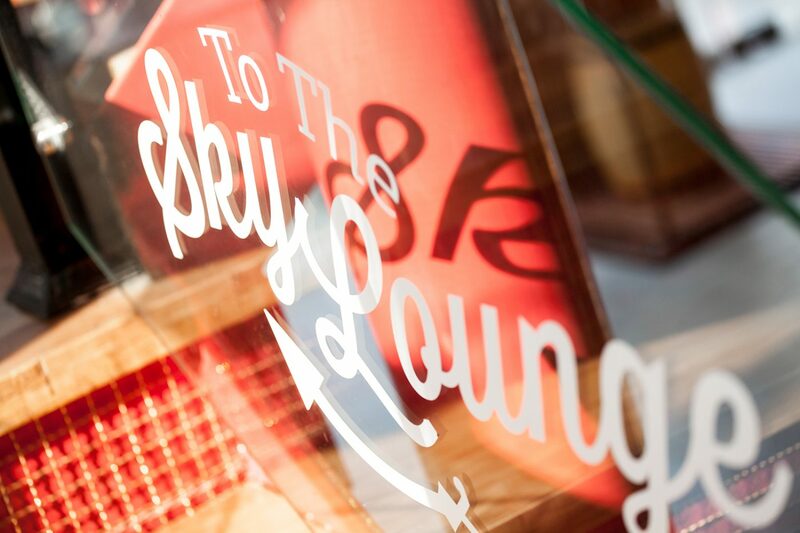 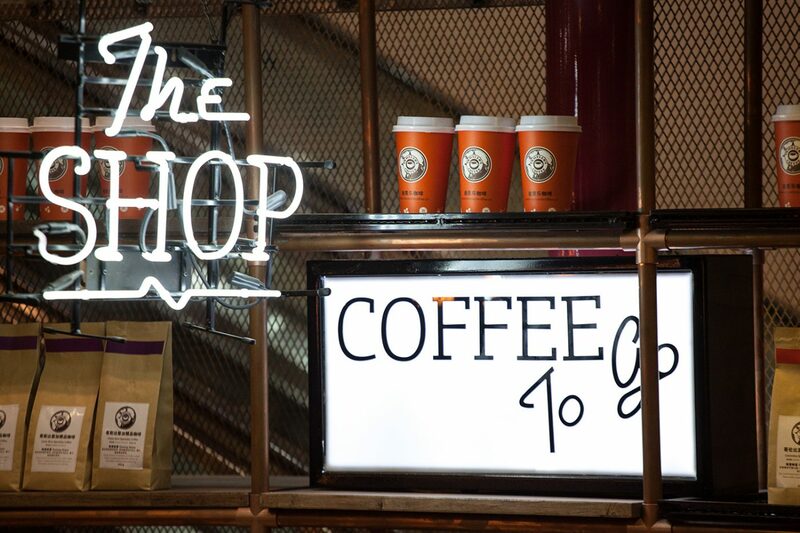 As part of the project, we created a suite of graphics and art for the walls in tandem with the Run For The Hills graphics team, also designing a range of neon signs and lightboxes for wayfinding and retail display.